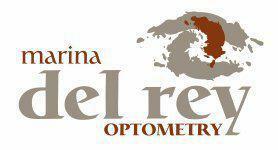 Marina Del Rey Optometry is dedicated to the science of eye care and the beauty of eyewear. The team is committed to serving the community through compassionate care and personalized experience to ensure your eyes see, feel, and look their best. The doctors at Marina Del Rey Optometry understand how much your eye health and appearance affect your quality of life. They’re committed to exceeding your expectations as they provide excellent and comprehensive eye care. They look forward to protecting the eyes and vision of children and adults in the Marina Del Rey community. From eyeglasses to the treatment of eye diseases, the doctors at Marina Del Rey Optometry use cutting-edge technology and develop services that are customized for each patient. Your entire family can count on them for annual eye exams as well as treatment for unexpected issues like pink eye and dry eyes. You can also receive LASIK surgery or vision correction with advanced contact lenses and designer eyeglasses. The team at Marina Del Rey Optometry encourages adults to get routine screenings for age-related diseases like glaucoma and cataracts, because the only way to prevent vision loss is with early treatment. The optometrists have specialized training in primary care, low vision rehabilitation, traumatic brain injury, and ocular disease. They’re also experts in complicated contact lens fitting. If you have any questions about an eye or vision problem, or it’s time for a routine eye exam, please don’t hesitate to call the office or schedule an appointment online. The team looks forward to helping all patients maintain optimal eye care.